Ah the Beginning of December …. the leaves are nearly all down and raked up, the spring bedding is all in, so all we need too do now is …. to find a nice cosy little corner to curl up in until the spring. How many of us hear comments every year like ‘I suppose there’s nothing for you to do this time of year’ and ‘you might as well go home, you can’t do anything in this weather’. If that was the case, I would have gone home at the end of March this year and still not returned. Well this is what some people think. That come the winter, all us gardeners do is drink tea (some truth in that) and then go into hibernation until the spring, because as we all know … there is nothing to do in the garden over the winter. The thing is … we do … go into hibernation that is. But before we do, we have too hand over the garden to those ‘cheeky little garden elves’. Who then busily go round the garden doing them all important winter jobs, that no one ever sees getting done; it is very clever and magical how they get away without being seen working. Then when March arrives, we wake from our slumber, thank the garden elves for all there hard work they have done over the winter, then we take all the glory in the spring and summer when the garden is blooming . So, I thought it only fair that I introduce them cheeky little garden elves for all the hard work they do for us gardeners over the winter months, listing a few of the many jobs they do. Be warned some of them are a little cheeky………. 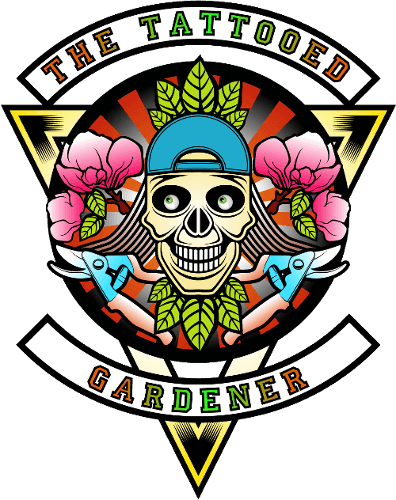 Garden maintenance … now these are all the fun jobs. This is anything from, path maintenance, repairing wooded edges, repairing fences, cutting down herbaceous borders, tidying nursery/glasshouse area (this includes, cleaning and sorting out your pots and seed trays). Other jobs for the elves if the weather plays ball is, double digging (groans), mulching of the borders, pruning roses climbers/shrub etc, plus renovation work on ramblers. Many other wall shrubs need pruning this time of year as well, Wisteria, Campsis etc. Usually a happy little elf. Quietly getting on with the job at hand, whether it is aerating, rolling, brushing and the clearing of any debris off the lawn. These are all jobs that can be done in the winter, depending on the weather. Getting some soluble iron on your lawn, is always a good one to do, helps strengthen the blade, greens it up a bit and helps control that moss. Often clears snow by making and throwing snowballs at fellow workers. Snow plough, shovels, blowers, brushes, crystals and salt whatever it takes too clear them paths. Very hard working, happy in their work and doesn’t mind working out of hours. General servicing of all garden equipment. If the job is not to major, this can be done in the mower shed. There is one particular Elf that I know, thinks all you need is a hammer in his toolbox and know other tools. He has no patience what so ever, has been seen losing his temper over the slightest mechanical problem and has been known to kick the odd lawn mower that has played up. Watch out for this one. Has often been heard complaining about all those, Risk Assessments, Safety Data Sheets and COSHH Assessments that needs to be done (they are very good with Elf and Safety). Can be quite snappy, grumpy, argumentative and always complaining that stuff is not getting done in the garden. When it comes down to the planting plans, plant orders, garden design and planning the Christmas party they are a little more approachable. So there you have it, those busy little winter helpers, doing the jobs that seem to be invisible to some. You have to be thankful to them for two reasons: firstly, for helping us out in the garden during the winter months, because these important jobs would never get done if it wasn’t for them; secondly as we all know …. they are also very busy around the 25th December. A lot of the hard ground work is done in the winter, that lays the basis of what you see in the garden in the warmer months. You may also think that being a Head Gardener, I could hide away in a nice warm office while others are out in the cold …. not me, I enjoy the cold weather. If by February we have had no snow, I will start thinking of doing a little snow dance …. a dance routine with the elves, if they are still around. You forgot the planning elf who will sort out our seed orders, rejig th crop rotation and decide on the themes for summer bedding. You couldn’t send your elves round to help me out could you?